Check this map if you want to see the Israeli expansion in the West Bank since 1967. Washington said the action was not in keeping with Israel’s obligations under the so-called “road map” to resolve the Israel-Palestinian conflict. Jewish settlers moved into the houses almost immediately. Israel occupied East Jerusalem in 1967 and later annexed it, a move not recognised by the world community. The removal of the 53 people was also condemned by the United Nations, the Palestinians and the UK government. Senior Palestinian negotiator Saeb Erakat said he was outraged at the action. “Israel is once again showing its utter failure to respect international law,” he said. The operation to evict the Palestinians from the Sheikh Jarrah district of the city was carried out before dawn on Sunday by police clad in black riot gear. It followed a ruling by Israel’s Supreme Court that Jewish families owned the land. Israel wants to build a block of 20 apartments in the area. 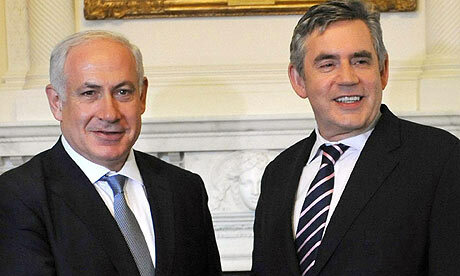 The UK government said the Israeli action was “incompatible with the Israeli professed desire for peace”. “We urge Israel not to allow the extremists to set the agenda,” the British Consulate in East Jerusalem said. Israel considers a united Jerusalem to be the capital of the state of Israel. The BBC’s Tim Franks in Jerusalem says the houses are in what is probably the most contested city on earth and the diplomatic ripples from the evictions will spread. There are an estimated 250,000 Palestinians living in East Jerusalem and 200,000 Jews. Thousands of tourists visiting the Middle East each year have plenty of reasons to travel to the region. But for a small minority the Israeli-Palestinian conflict is a draw, prompting enterprising tour operators to organise trips to illegal Israeli settlements in the occupied West Bank.